The remotely piloted devices have been detected near a growing number of Australian and international prisons. Drone technology is becoming increasingly accessible and affordable, with good quality kits now available online and in department stores across the country. See how easy it is to smuggle restricted items into correctional facilities in this drone demonstration. View real-life footage of a drone breeching security at Lithgow Prison in New South Wales. Check out the crazy – and scary – things that can be smuggled into prisons with drones. 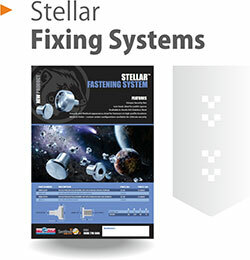 How do drones relate to security fastenings? When you think of the term contraband, it conjures images of drugs, weapons cigarettes, alcohol and mobile phones. Not so obvious, but of enormous detriment to safety, is the possibility that tools to remove fasteners could be smuggled into the compound. 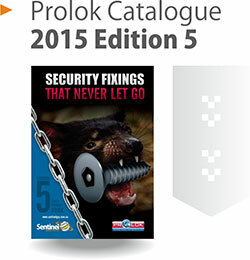 Security fasteners from the basic security range (level 1) are commonly sold by entry level suppliers. The tools to remove these fasteners can be purchased from hardware stores and other retail outlets. 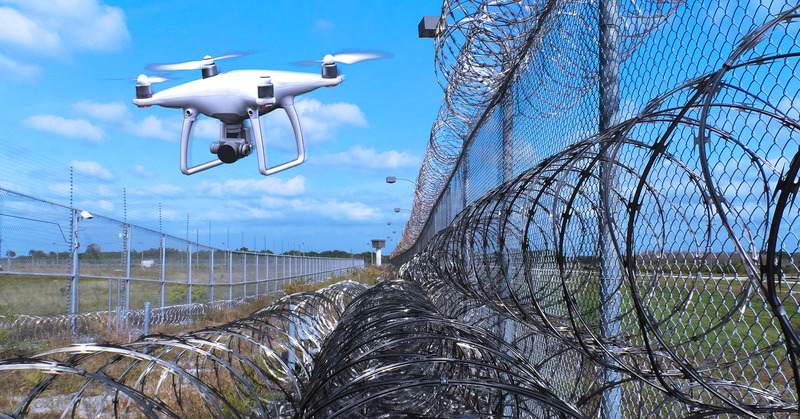 The advent of drone-smuggling is another stark reminder of why correctional facilities need higher protection than level 1 security fasteners. 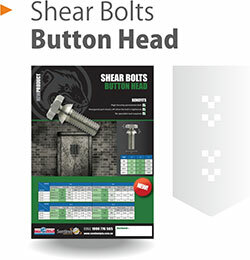 Pentaforce™ high-security screws are a unique design among security fasteners, featuring a five-sided pentagonal recess that blocks standard tool shapes. Access to the tools is restricted. Supplied only through authorised distributors, each Pentaforce™ tool is registered using a form, controlling access and misuse. Pentaforce™ security fasteners are available in machine screws, self-tapping screws, self-drilling screws for steel and timber applications. 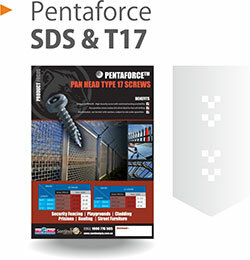 Download the Pentaforce™ product guide. Complex projects, such as new and retrofitted correctional facilities, call for specialist advice. Our designs are second to none, always keeping our clients one step ahead when it comes to security. The products we sell cover the full spectrum of security levels, ranging from level 1 for basic security all the way up to level 3 for maximum security. Find out more about levels of security here. If you’re designing a correctional facility where staff and inmate safety is a crucial concern why not get in touch and let us help you select the best security fasteners for the job. We’re happy to share our expertise with you every step of the way.